In a complex case that involves several legal issues, police arrested two men on drug-related criminal charges. After a lengthy investigation, officers executed a search warrant on a Southwest Starflower Avenue residence. Authorities entered one bedroom and seized two handguns, two rifles, ammunition, marijuana, crack cocaine, and a substantial amount of cash. In another bedroom, officers found drug residue and two loaded handguns. In the living room, officers seized some $1,400 in cash along with undisclosed drug-related items. Two of the house’s four residents were booked into jail on drug trafficking-related charges. Once officers have probable cause to believe that criminal activity is afoot, they may ask judges to issue search warrants. By the time investigations reach this stage, law enforcement agencies have usually already invested hundreds of hours into the case. So, to get the warrants they need, some police officers take shortcuts. Many times, there is an issue with the probable cause for the warrant. Florida law does not define the phrase “probable cause” but it is a standard somewhere between an evidence-based hunch and beyond a reasonable doubt. Source: Many times, the police source is a confidential informant. Many CIs receive substantial sums of money for their tips, others are disgruntled former associates, and others have made plea deals to provide information in exchange for leniency. Specificity: General information (blue Ford) is not very useful. Specific information (blue Ford SUV with Florida plates) is more likely to reach the probable cause threshold. There are other specificity issues as well. One of them is with regard to search warrant locations. Specificity is especially important where there are multiple rooms in a dwelling with multiple occupants. People have an enhanced expectation of privacy in their bedrooms. So, officers may not be able to use a general search warrant as a license to look in every nook and cranny. As mentioned, at trial, Florida prosecutors must establish guilt beyond a reasonable doubt. Essentially, the evidence must be so overwhelming that the prosecutor’s version of events is the only one that makes sense. This burden is difficult to meet, and it is even harder when the evidence is spread out. Despite what prosecutors claim, there may not be a connection between drugs in the living room and a gun in a bedroom. That’s especially true if the gun was in a bedroom of a non-arrested person. Lack of evidence is often the most effective defense in any criminal case. If even one juror has a reasonable doubt, the defendant cannot be found guilty. Criminal cases are difficult to prove in court. 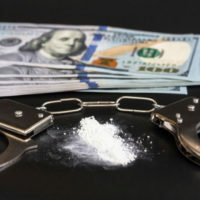 For a free consultation with an experienced criminal defense attorney in Port St. Lucie, contact Eighmie Law Firm, P.A. Home and jail visits are available.